An exhibition marking the 30th anniversary of the Erasmusplus programme is being hosted in the foyer of the University of Malta library until Friday. 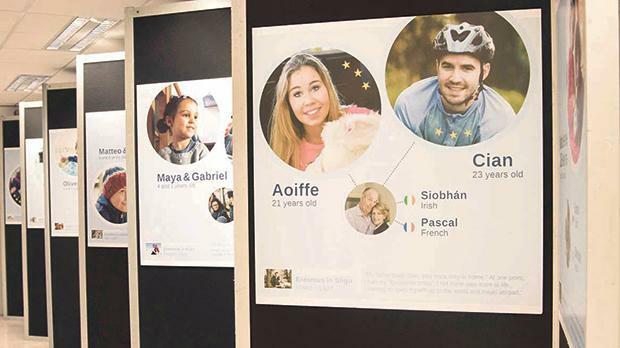 The exhibition, entitled ‘European Union[s] – Ambassadors of the Europe of Tomorrow’, consists of 14 panels featuring portraits of different nationalities of couples who met as a result of a university exchange funded by the Erasmus scheme. It is estimated that the programme has helped forge links between over nine million European students and staff across national frontiers and that over a million babies have been born to couples who met during an exchange. The exhibition is being organised by the University and the French Embassy in Malta.